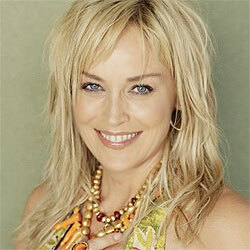 Sharon Stone (born 10 March 1958 in Meadville, Pennsylvania), is an American actress. She starred in the movies, Basic Instinct, Casino (Golden Globe winning role), The Muse, and The Disaster Artist. Sharon is the face of Dior cosmetics.